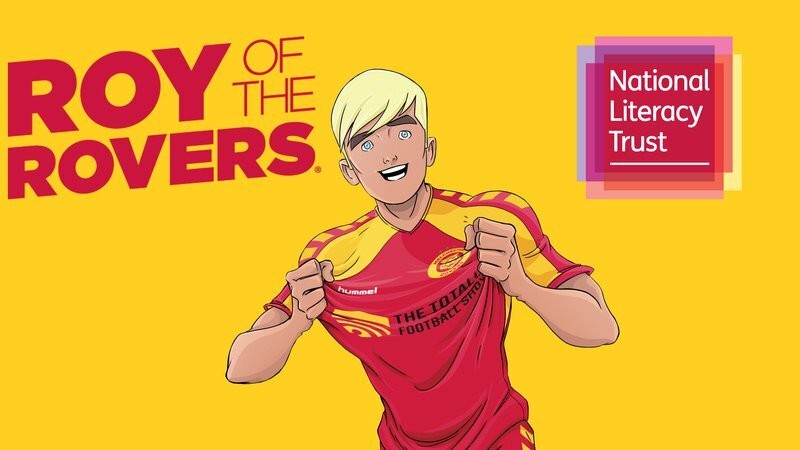 To celebrate the return of the classic Roy of the Rovers comic, the National Literacy Trust and Rebellion are inviting pupils aged 8 to 12 to get creative and write a club motto for Roy Race’s iconic football team, Melchester Rovers. As well as £250 worth of books and comics for your school, the winning pupil will receive a signed full set of books, Roy of the Rovers goodies and a prize that money can’t buy – a place in football history when their motto is written into an upcoming Roy of the Rovers book by best-selling children’s author, Tom Palmer, who will also visit the winner’s school! Ten runners-up will also received a full set of books. This competition is open to and completely free for all UK schools. Entries are invited from pupils aged 8 to 12 (Key Stages 2 and 3). Download the Roy of the Rovers competition entry form for more information about submitting your pupils' entries. The competition closes for entries on 10 May.